Cannot be Normal Summoned/Set. 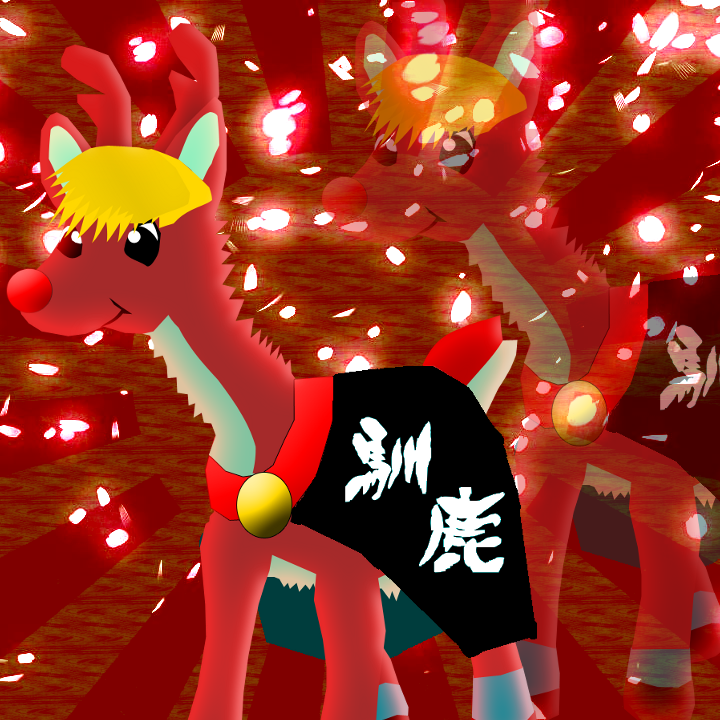 Must be Special Summoned by its own effect, and cannot be Special Summoned by other ways. If your opponent controls 2 or more Special Summoned monsters: You can send 1 Fusion, Synchro, and Xyz Monster from your Extra Deck and 1 Ritual Monster from your Deck to the Graveyard; Special Summon this card (from your hand). This card's Special Summon cannot be negated. 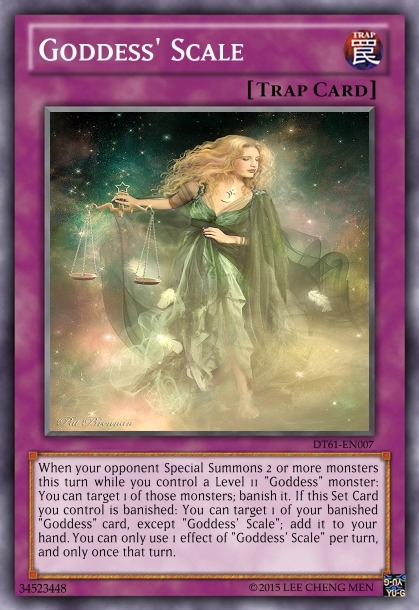 When this card is Special Summoned: Banish all Special Summoned monster your opponent controls, then add 1 "Goddess" card from your Deck to your hand, except "Iusticia, Goddess of Justice". Cards and effects cannot be activated in response to this effect's activation. You cannot conduct your Battle Phase the turn you Special Summon this card. Cannot be Normal Summoned/Set. 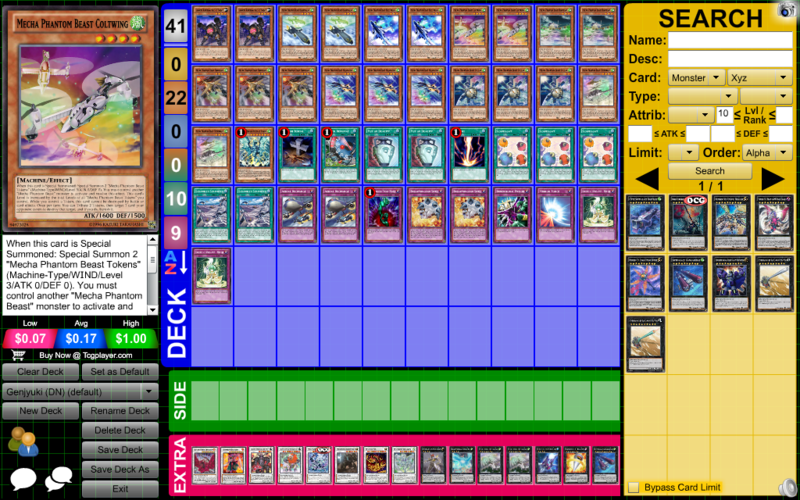 Must be Special Summoned (from your hand) by shuffling 1 banished Ritual, Fusion, Synchro, and Xyz Monster into the Deck, and cannot be Special Summoned by other ways. This card's Special Summon cannot be negated. 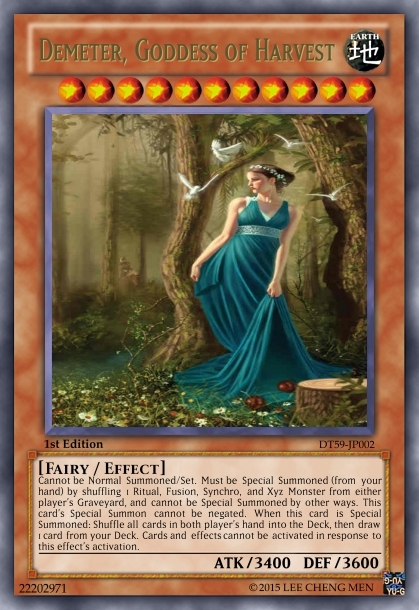 When this card is Special Summoned: Banish all other cards from both player's field and Graveyard, then you can add 1 "Goddess" Spell/Trap Card from your Deck to your hand. Cards and effects cannot be activated in response to this effect's activation. Cannot be Normal Summoned/Set. 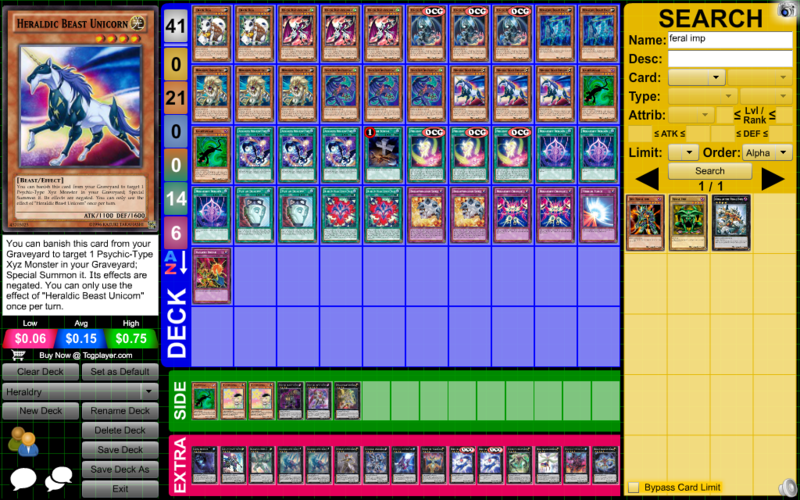 Must be Special Summoned (from your hand) by shuffling 1 Ritual, Fusion, Synchro, and Xyz Monster from either player's Graveyard, and cannot be Special Summoned by other ways. This card's Special Summon cannot be negated. When this card is Special Summoned: Shuffle all cards in both player's hand into the Deck, then draw 1 card from your Deck. Cards and effects cannot be activated in response to this effect's activation. Cannot be Normal Summoned/Set. 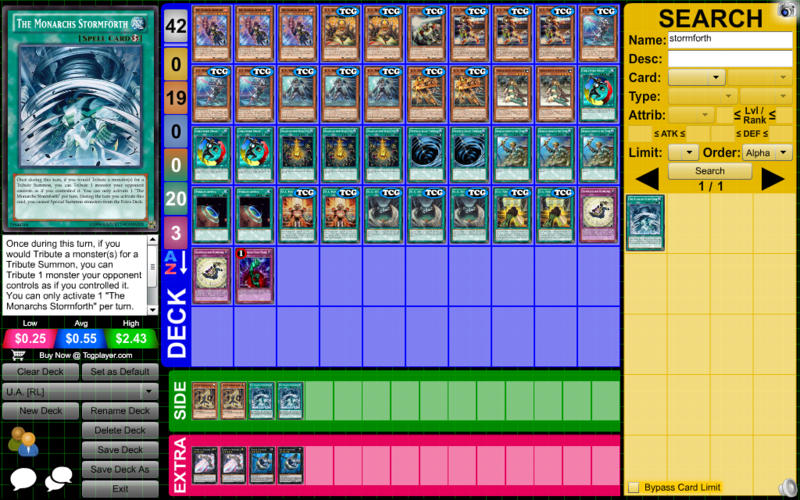 Must be Special Summoned (from your hand) by sending 1 banished Ritual, Fusion, Synchro, and Xyz Monster to the Graveyard, and cannot be Special Summoned by other ways. This card's Special Summon cannot be negated. When this card is Special Summoned: Send all banished cards to the Graveyard, then you gain 200 Life Points for each card sent. Cards and effects cannot be activated in response to this effect's activation. Cannot be Normal Summoned/Set. 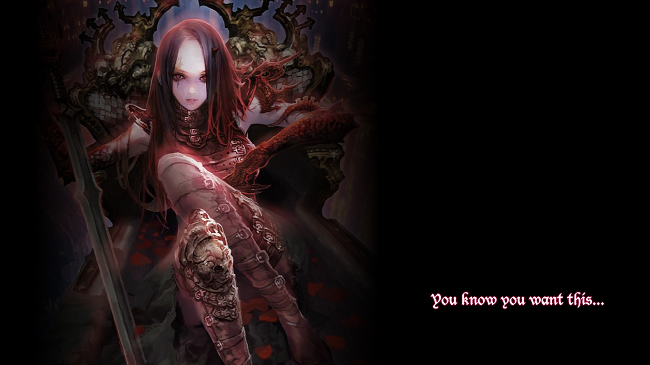 Must be Special Summoned by its own effect, and cannot be Special Summoned by other ways. 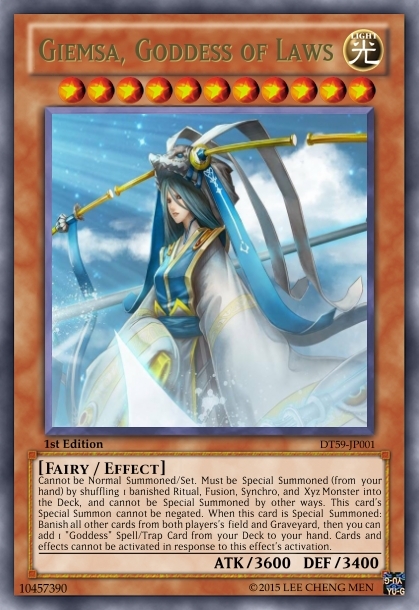 During your turn, if you have activated an effect of a "Goddess" monster previously this turn, except the effect of "Yan & Xi, Goddess of Duality", you can Special Summon this card (from your hand). This card's Special Summon cannot be negated. When this card is Special Summoned: Choose 3 "Goddess" Spell/Trap Cards from your Deck and have your opponent pick 1 of them at random to add to your hand. Shuffle the rest back into your Deck. Cards and effects cannot be activated in response to this effect's activation. Cannot be Normal Summoned/Set. 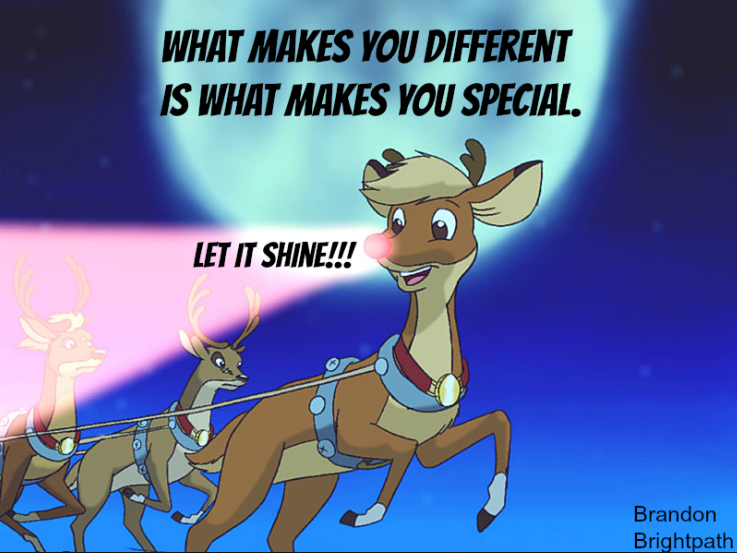 Must be Special Summoned by its own effect, and cannot be Special Summoned by other ways. 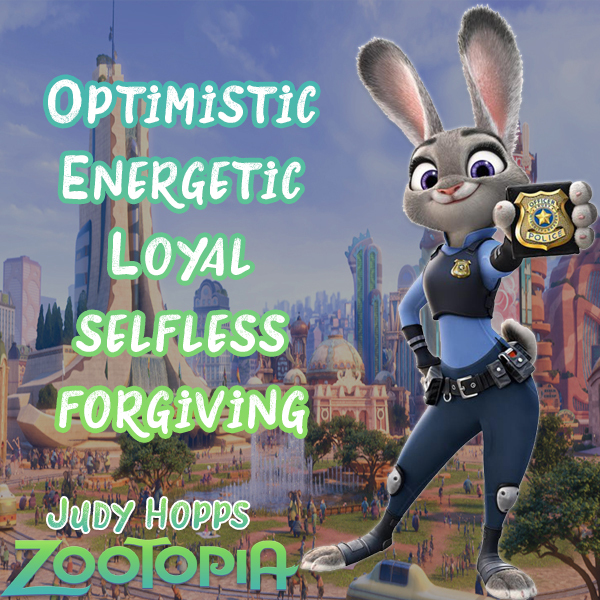 During your Main Phase 2, if an Level 11 "Goddess" monster is on the field, you can Special Summon this card (from your hand) to your opponent's side of the field in Defense Position. This card's Special Summon cannot be negated. 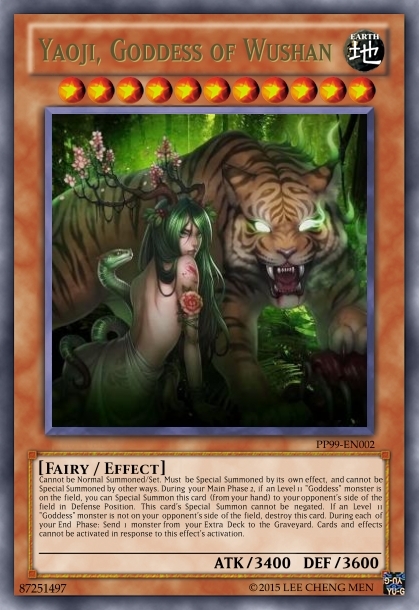 If an Level 11 "Goddess" monster is not on your opponent's side of the field, destroy this card. During each of your End Phase: Send 1 monster from your Extra Deck to the Graveyard. Cards and effects cannot be activated in response to this effect's activation. 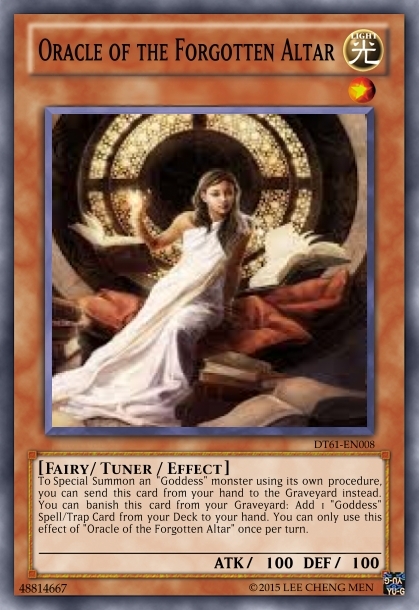 To Special Summon an "Goddess" monster using its own procedure, you can send this card from your hand to the Graveyard instead. You can banish this card from your Graveyard: Add 1 "Goddess" Spell/Trap Card from your Deck to your hand. You can only use this effect of "Oracle of the Forgotten Altar" once per turn. 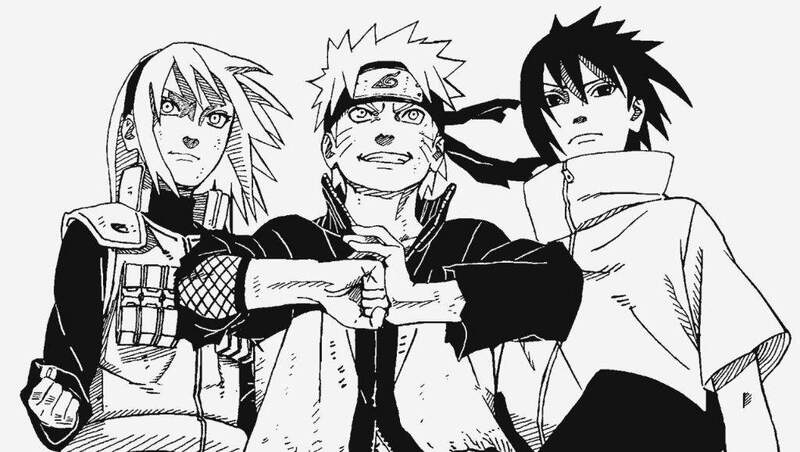 Must be Synchro Summoned, and cannot be Special Summoned by other ways. This card's Synchro Summon cannot be negated. 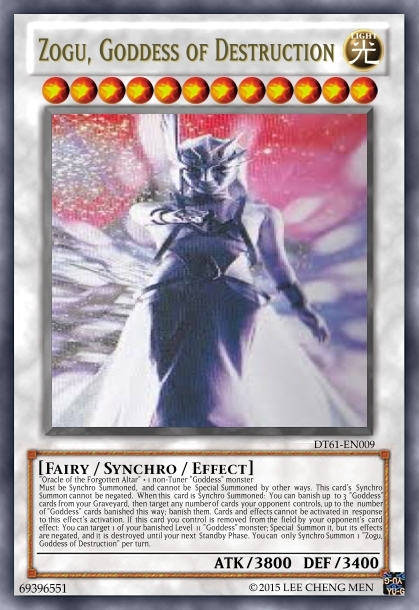 When this card is Synchro Summoned: You can banish up to 3 "Goddess" cards from your Graveyard, then target any number of cards your opponent controls, up to the number of "Goddess" cards banished this way; banish them. Cards and effects cannot be activated in response to this effect's activation. 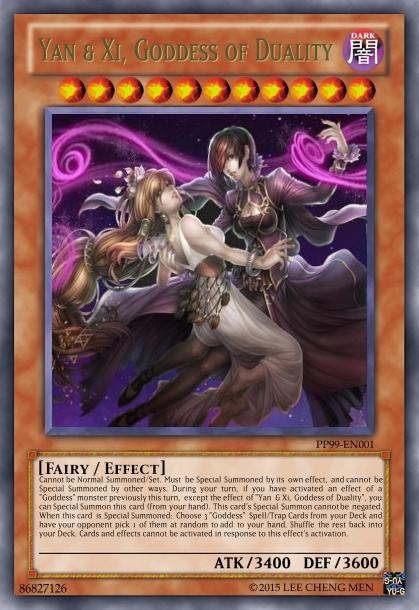 If this card you control is removed from the field by your opponent's card effect: You can target 1 of your banished Level 11 "Goddess" monster; Special Summon it, but its effects are negated, and it is destroyed until your next Standby Phase. You can only Synchro Summon 1 "Zogu, Goddess of Destruction" per turn. 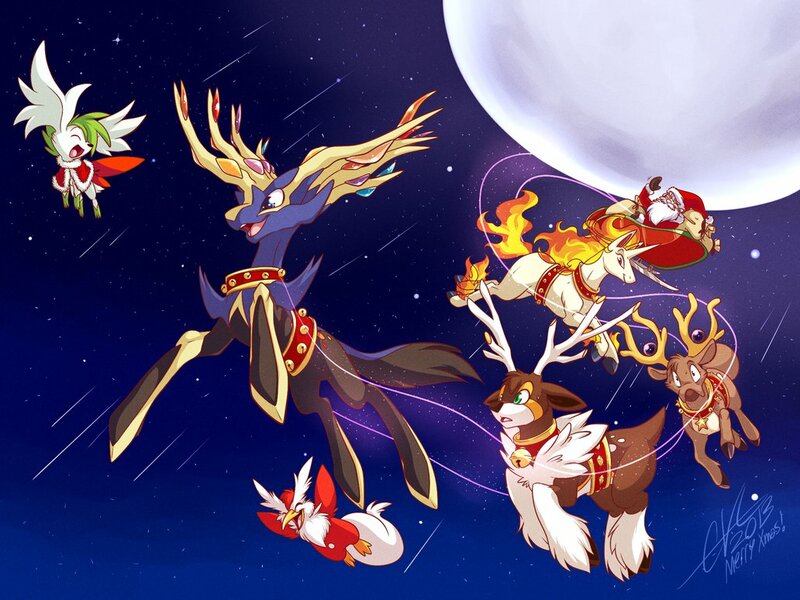 Must be Xyz Summoned, and cannot be Special Summoned by other ways. This card's Xyz Summon cannot be negated. If this card destroys an opponent's monster by battle: You can detach 1 Xyz Material from this card; banish all face-up cards your opponent controls. If this face-up card you control is sent to the Graveyard by your opponent's card (either by battle or by card effect): You can target 1 of your banished "Goddess" monster, except "Yog-Sothoth, Goddess of Void"; Special Summon it, but it's effects are negated. Cards and effects cannot be activated in response to this effect's activation. 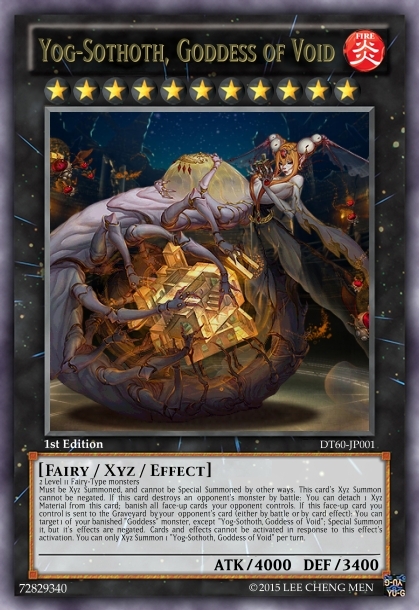 You can only Xyz Summon 1 "Yog-Sothoth, Goddess of Void" per turn. This card is unnaffected by the effect of "Goddess" monsters. Once per turn, during your Standby Phase: You can Special Summon 1 "Maiden Token" (Fairy-Type/DARK/Level 2/ATK 1000/DEF 1000) to your side of the field. 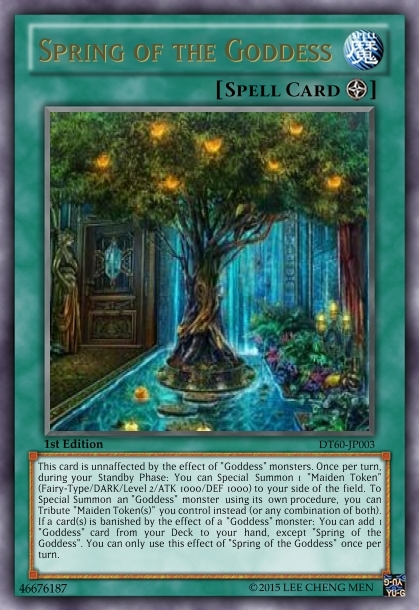 To Special Summon an "Goddess" monster using its own procedure, you can Tribute "Maiden Token(s)" you control instead (or any combination of both). 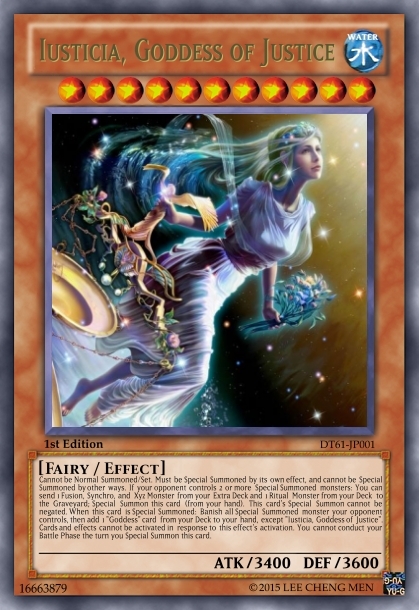 If a card(s) is banished by the effect of a "Goddess" monster: You can add 1 "Goddess" card from your Deck to your hand, except "Spring of the Goddess". You can only use this effect of "Spring of the Goddess" once per turn. 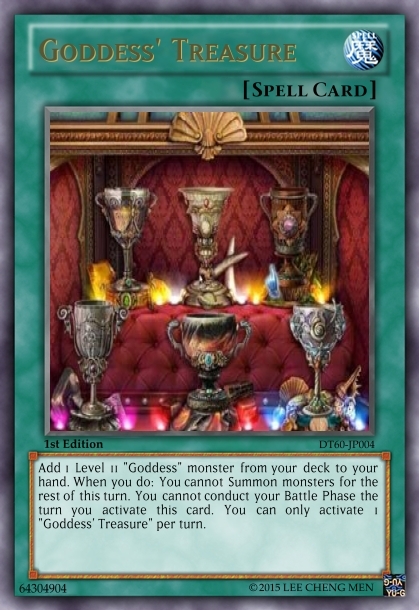 Add 1 Level 11 "Goddess" monster from your deck to your hand. When you do: You cannot Summon monsters for the rest of this turn. You cannot conduct your Battle Phase the turn you activate this card. You can only activate 1 "Goddess' Treasure" per turn. 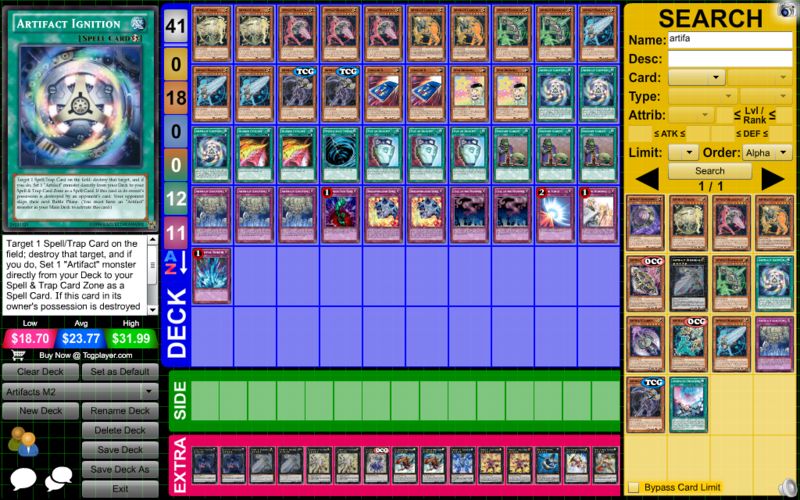 If you control a Level 11 "Goddess" monster: Draw 2 cards. 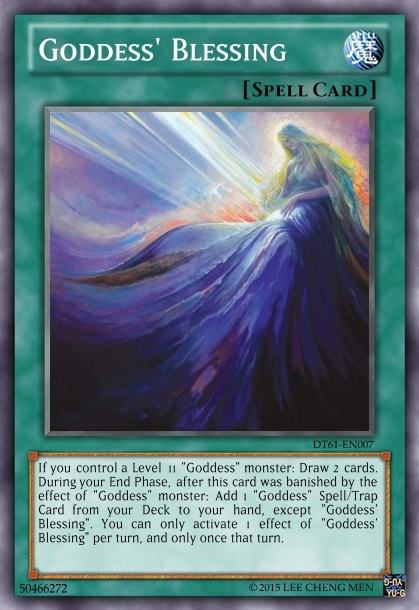 During your End Phase, after this card was banished by the effect of "Goddess" monster: Add 1 "Goddess" Spell/Trap Card from your Deck to your hand, except "Goddess' Blessing". You can only activate 1 effect of "Goddess' Blessing" per turn, and only once that turn. 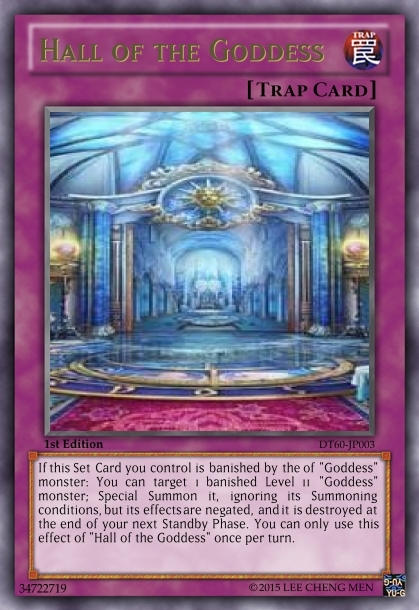 If this Set Card you control is banished by the of "Goddess" monster: You can target 1 banished Level 11 "Goddess" monster; Special Summon it, ignoring its Summoning conditions, but its effects are negated, and it is destroyed at the end of your next Standby Phase. You can only use this effect of "Hall of the Goddess" once per turn. When your opponent Special Summons 2 or more monsters this turn while you control a Level 11 "Goddess" monster: You can target 1 of those monsters; banish it. If this Set Card you control is banished: You can target 1 of your banished "Goddess" card, except "Goddess' Scale"; add it to your hand. You can only use 1 effect of "Goddess' Scale" per turn, and only once that turn. Just so you know, bump rule in this section is 12 or more hours. If you plan to update the thread within that time period, just do so + announce all updates at once; not five times within 1-2 hour intervals. 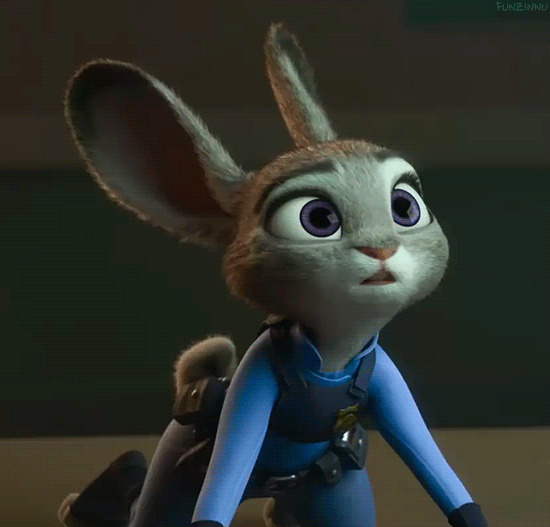 Bump posts merged / overall post count reduced.